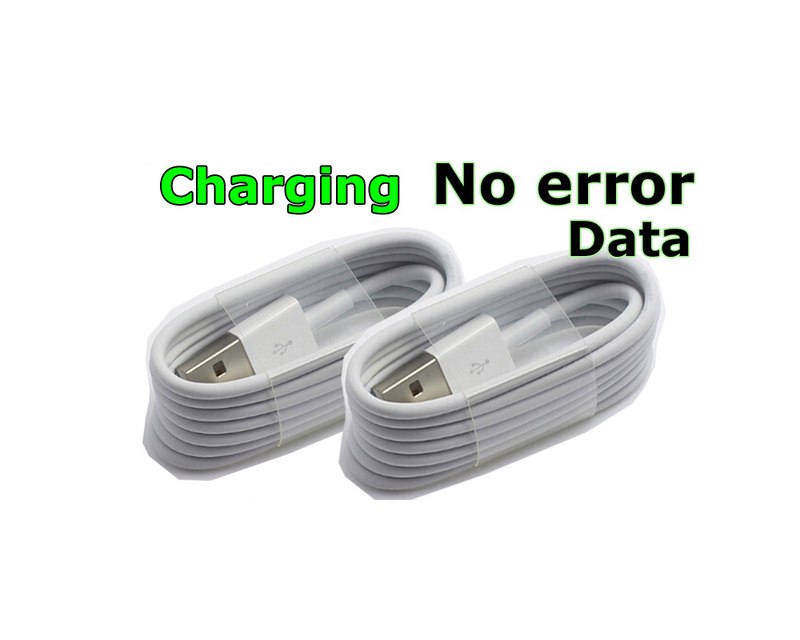 Lightning to usb cable is comprised of various length of cable, usb type-A connector and lightning connector with 8 pins that can be inserted either face up or face down. 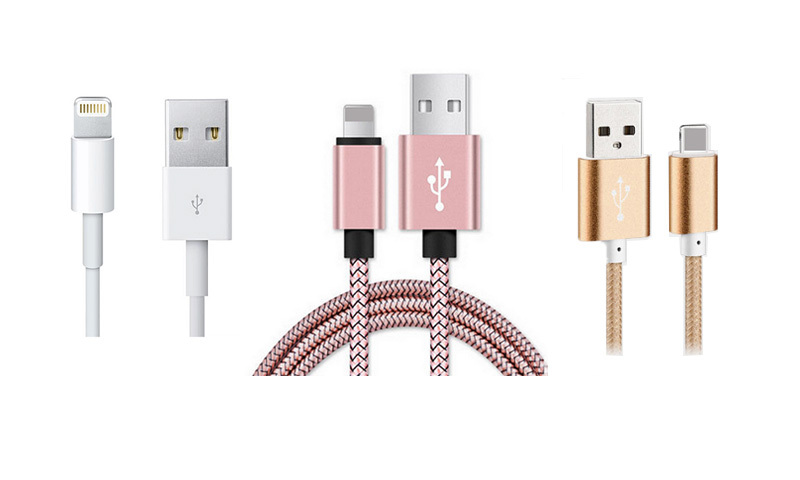 It can connect your iPhone, iPad, or iPod with Lightning connector to your computer’s USB port for syncing and charging. Or you can connect to the Apple USB Power Adapter for convenient charging from a wall outlet. There is a type of Nylon Lightning Cable. It's compatible with iPhone, iPad & iPod (see list below) and has a super-fast speed of power flow & synchronizes at the same time. 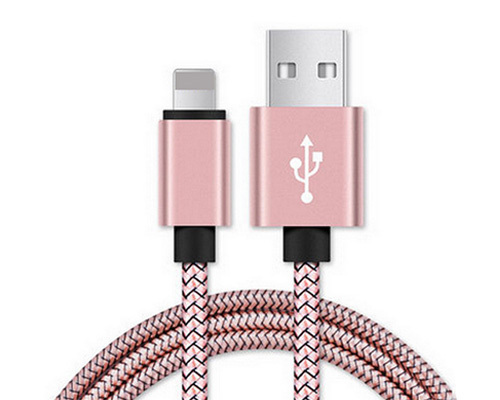 is fast charging USB to lightning cable with silver gray color. It is compatibility with apple iOS 8, 9, 9.3 Operation system. 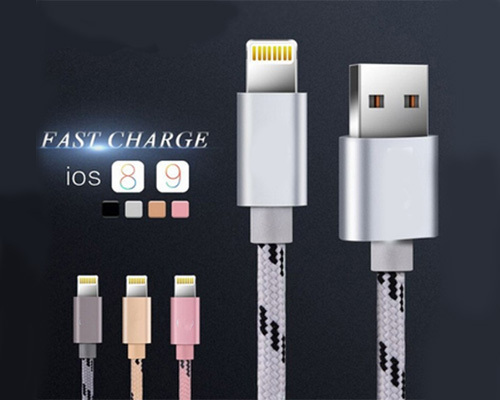 Welcome to inquiry and custom apple iphone 5 / 5s, iphone 6 / 6s, iPad charging cable, USB Data Sync Charging Cable. White color or Gold Color.